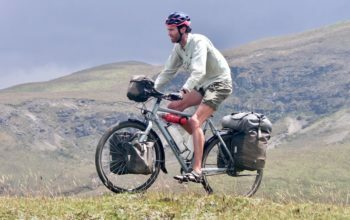 With the growing popularity of alt handlebars in bikepacking and touring circles – I’ve finally pieced together a bag resource for uniquely-shaped bars like the Jones H-Bar and Surly Moloko. 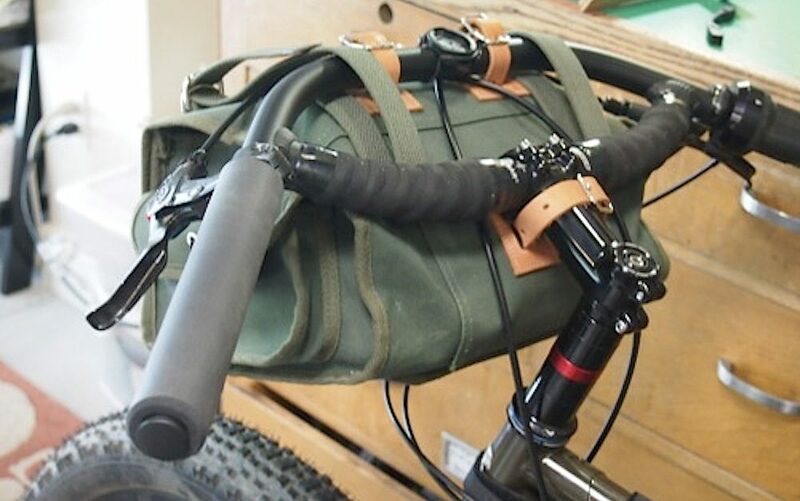 Let me run you through the alt handlebar -specific bags, a neat four-point handlebar harness and some hacks to mount a regular Ortlieb handlebar bag originally intended for bicycle touring. Right – let’s dive in. There’s an obvious nook for some gear to nestle amongst on the Jones H-Bar. Check THIS video to see that the handlebar still remains usable with these bags. This bag is designed to fit a banana, phone, water bottle, sandwich or anything else you may need quick access to. Available in different colours and both padded and unpadded. Dual zippers make it easy to open it with both your left and right hand. Jones has just released this 95-gram waterproof bag. The middle zipper has a small loop at the end which really helps to open and close the bag one-handed! The LoopHole pack has been around for a few years but is still available. Compared to the recently released model the zipper is harder to access, it’s not waterproof, the attachment points aren’t optimised to allow the best hand positions and it’s 70-grams heavier than the latest version. Could be an ok option if you find one cheap. This 75-gram, 1.5 litre VX21 nylon bag from the UK is another great option, being the lightest on the list. 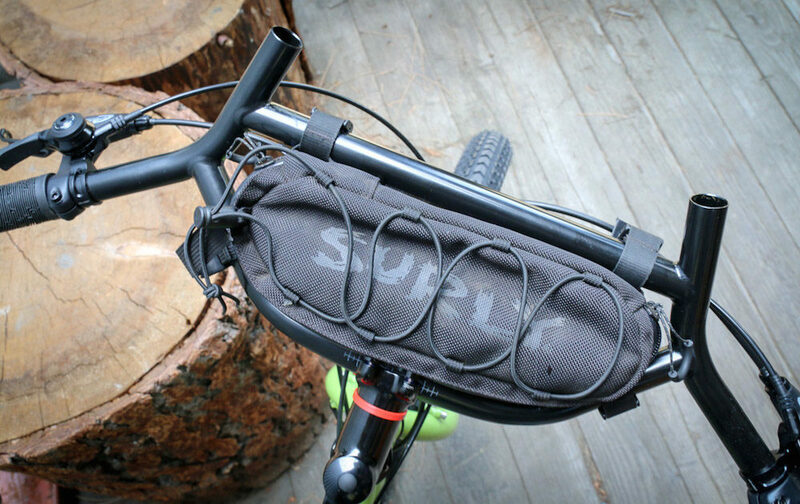 This urethane-coated nylon bag by Surly is designed specifically around their Moloko handlebar. The elastic straps across the top are a great feature that allows you to scrunch up a rain jacket or fit a quickly accessible layer of clothing. 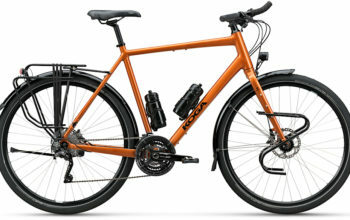 With more handlebar infrastructure comes the ability to offer extra bag stability. Four-point harnesses will prevent your handlebar pack from dropping while you ride. This system can anchor the Sweetroll better than almost anything else. The Revelate Designs Sweetroll has provision for two additional straps to suit the Jones handlebar. 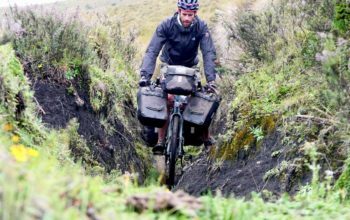 The straps and foam spacers will provide more hand clearance than the other bikepacking bag options too. 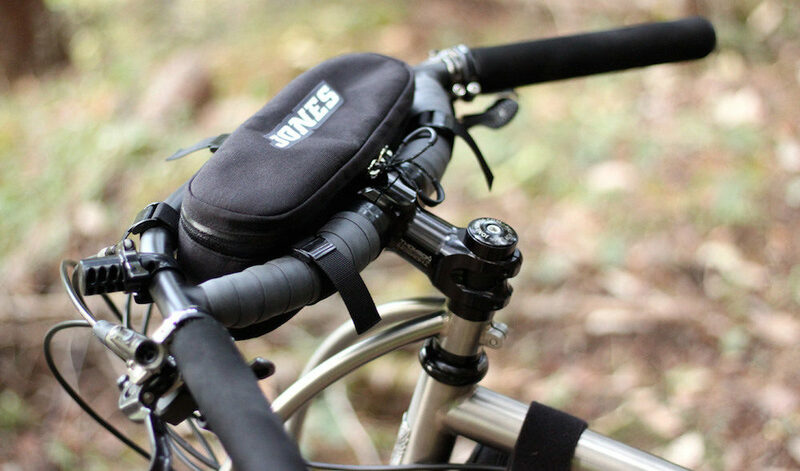 This dedicated Jones bar bag uses four clips/spacers to achieve a perfect fit. The two removable goodie bags on the back, as well as the front roll pocket, make this an ultra-functional bag option. 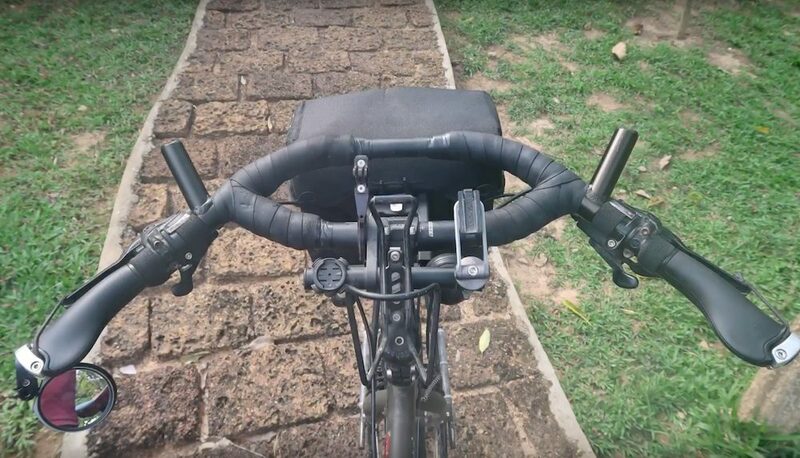 Ok, this isn’t technically an alt handlebar product, but it is another four-point handlebar harness option. The BarYak is a customisable mount that permits you to fit both additional accessories (eg. 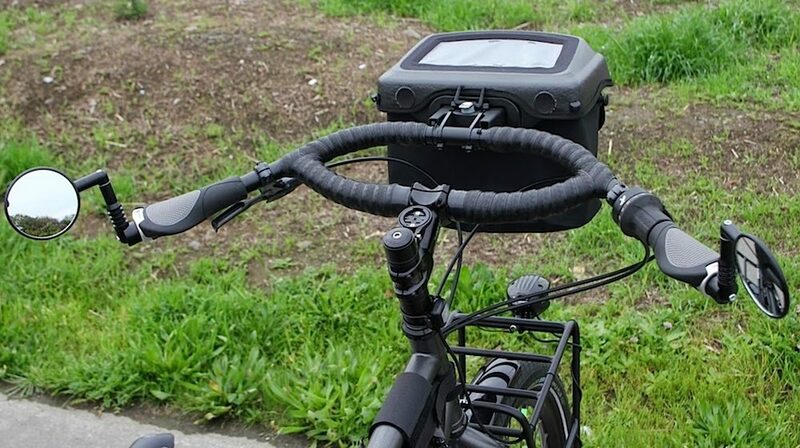 light, GPS) as well as a set of aerobars to your handlebars. 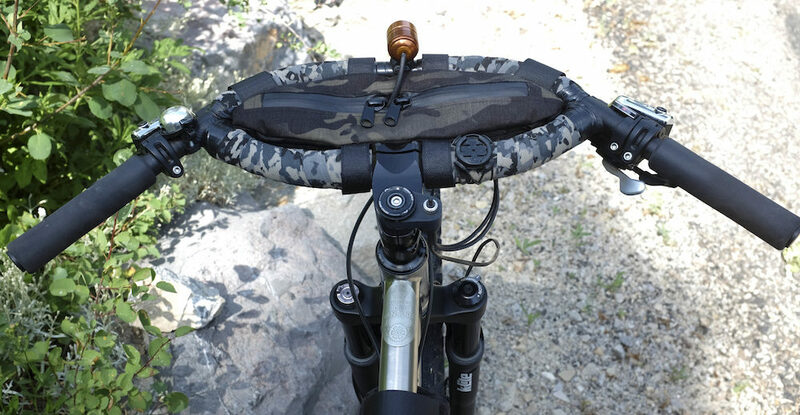 This accessory bar allows for a similar four-point mount to the Jones H-Bar. 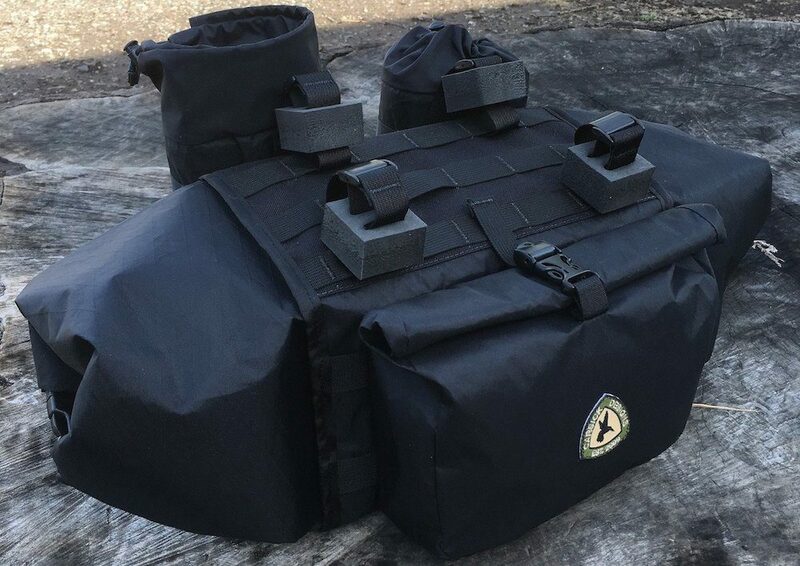 Instead of using the Sweetroll model with an additional strap kit, you instead use the Harness model that features existing straps (normally used for a front accessory pocket) to complete the four-point mount. 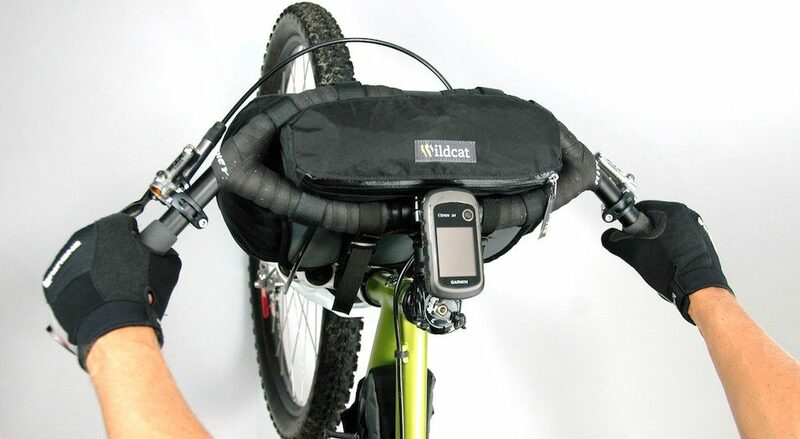 If the dimensions on your handlebar pack suit, you may find that your current handlebar pack already fits (or a canvas saddlebag in the case of the picture above). You may be able to use the frame strap around your stem and the handlebar straps at the front section of your Jones H-Bar. 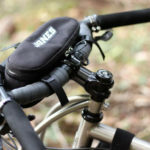 Don’t forget that most of the bikepacking bag manufacturers can fit custom alt handlebar mounts to your handlebar pack. 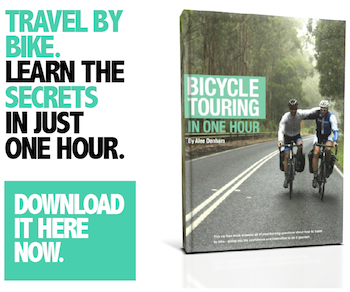 If you want a handlebar harness or handlebar pack with four mounting points, they’ll do it. If you want some additional mounts to suit the Crazy Bar, they’ll do that too. Custom bags manufacturers rock! 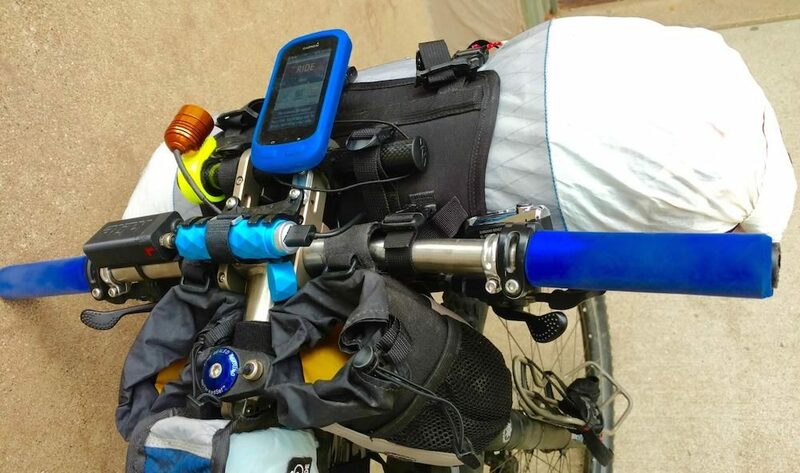 I love regular touring handlebar bags: they’re waterproof, mounted/removed in seconds, protective of camera gear and have a map holder. 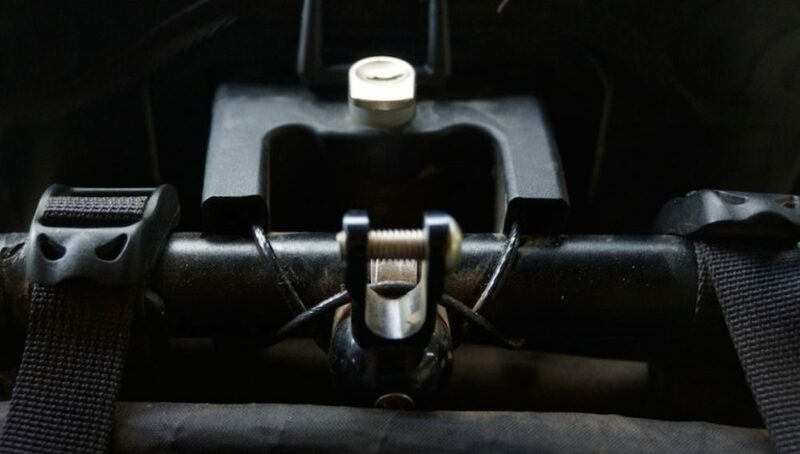 As the crossbar on some of the alt handlebars stops the regular mount from fitting – a few people have worked out some hacks. 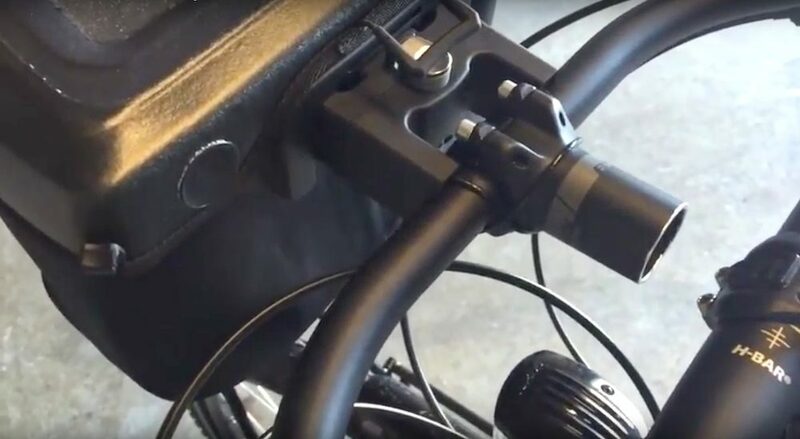 As Ross from RollingEast had enough spacers under his stem, he swapped out a few for a Thorn Accessory Bar to fit his Ortlieb handlebar bag bracket. 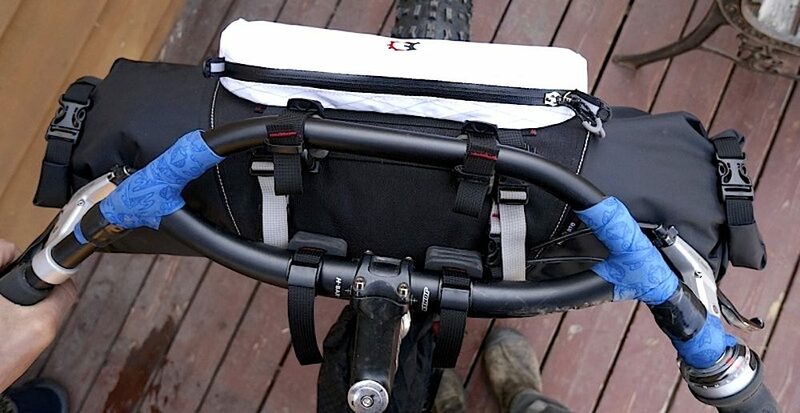 An Ortlieb Mounting Extension was necessary to get the appropriate opening clearance from the Jones handlebar. The Accessory Bar is also a handy place to mount your GPS computer or bell. Matt from ModernPracticality found that the Schmidt H-Bar light mount was strong enough to hold the Ortlieb cable mount. 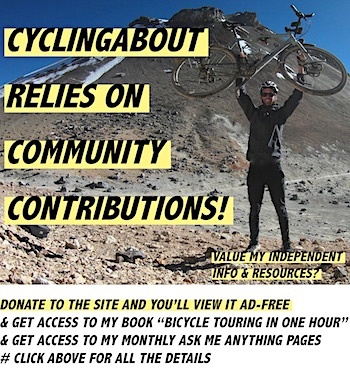 He was then able to fit the Ortlieb mounting wire according to specification. 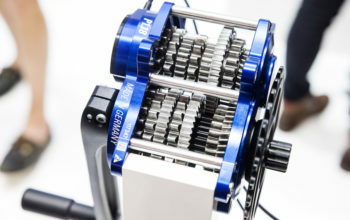 A video was published on YouTube by Leon Bailie showing a creative way to fit an Ortlieb Ultimate 6 Pro E. He cut an old stem in half and fitted the handlebar section plus a shim to the front of his Jones handlebars. The Ortlieb cable mount was then fitted as usual. Neil from CycleMonkey drilled a hole into the back side of his Jones handlebar and fitted a bolt to use as a brace for the wire mount. 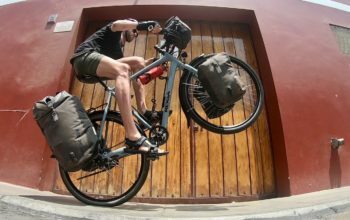 Don’t Forget To Check Out The Bikepacking Bag Manufacturer List and 10 Awesome Bikepacking Tech Innovations.